Happy Independence Day! If you’re looking for Red, White, and Blue, check out our Independence Day Archives for tons of festive recipes! Find it by clicking, Here! 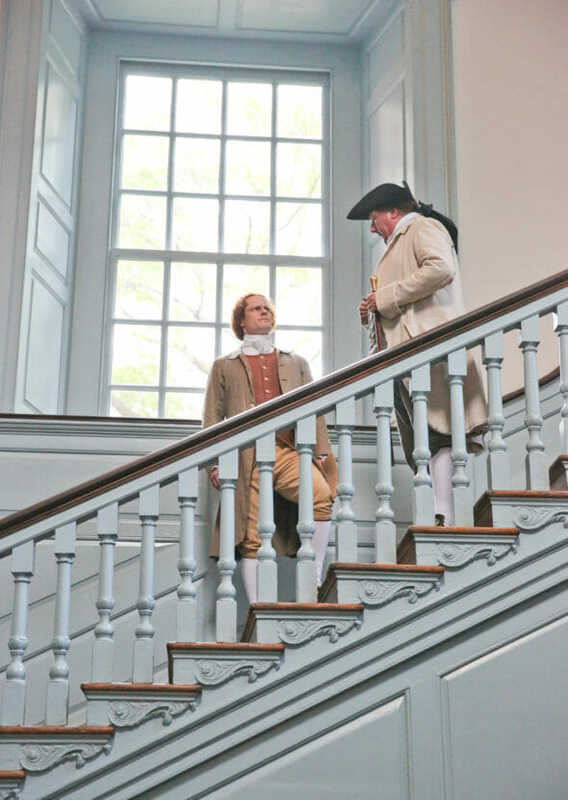 If you follow us on Instagram, you know that we’ve been immersed in American History this month. You also would have noticed a lot of talk about chocolate, so I’m going to tell you what the two have in common! American Heritage is a division of Mars- you know Twix, M&M’s, Dove chocolate, and so many of your favorites. But you won’t find American Heritage on the shelves of Target, Walmart, or anywhere else like that. There’s nothing else quite like this. The American Heritage brand was created to tell a story. 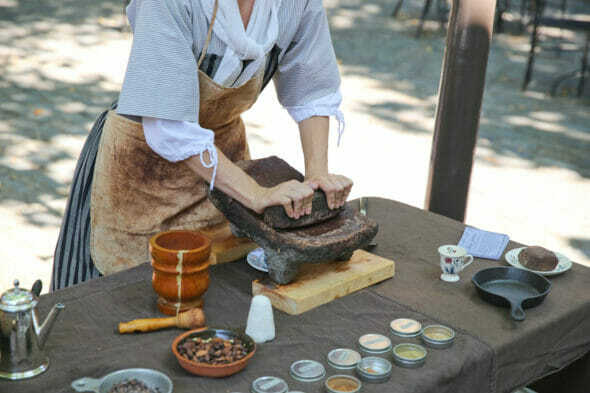 They partner with historic sites and museums across North America to share educational presentations that allow you to taste the journey of chocolate through time. 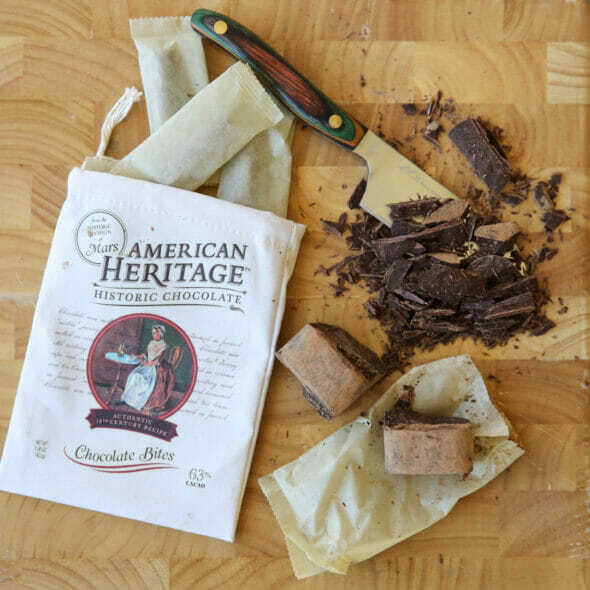 American Heritage Chocolate is an authentic historic chocolate that uses only ingredients available in the 17th Century. This chocolate is sold at many historical sites across the nation, with proceeds going right back into funding these great American treasures. 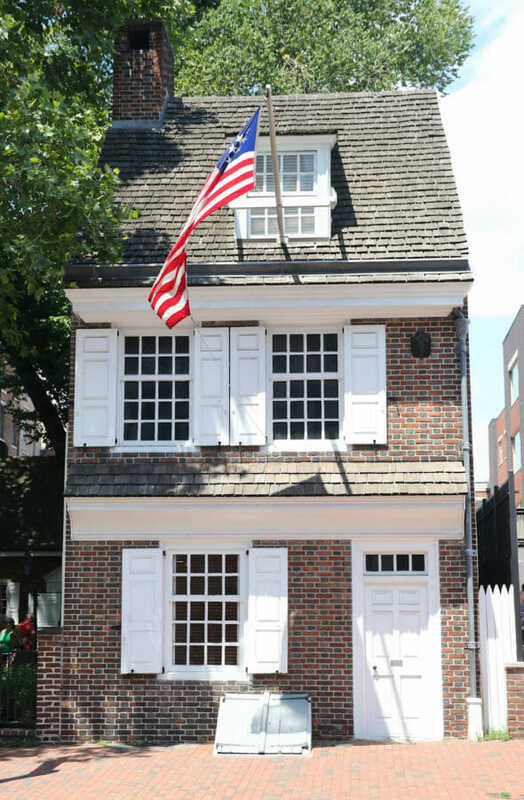 We got to see for ourselves when we visited Historic Philadelphia and watched a chocolate-making demonstration at the historic home of Betsy Ross. 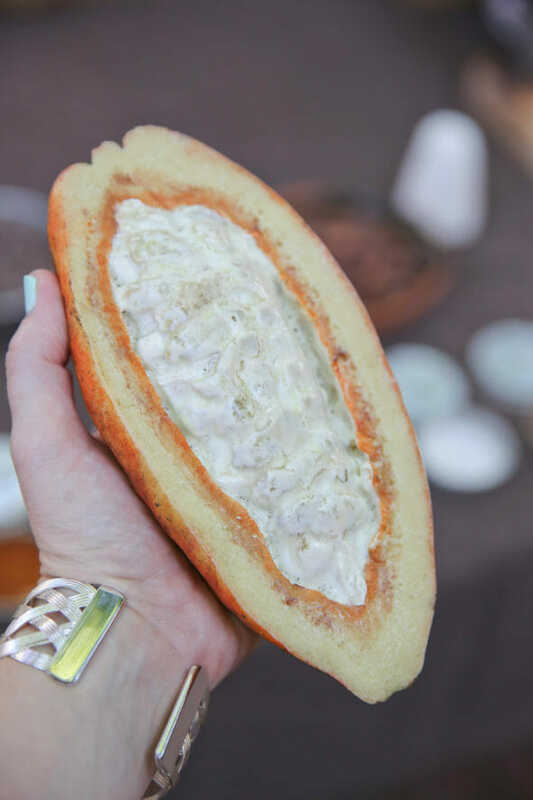 If you’ve never seen the cacao fruit, where cocoa beans come from, it looks nothing like you’d imagine! 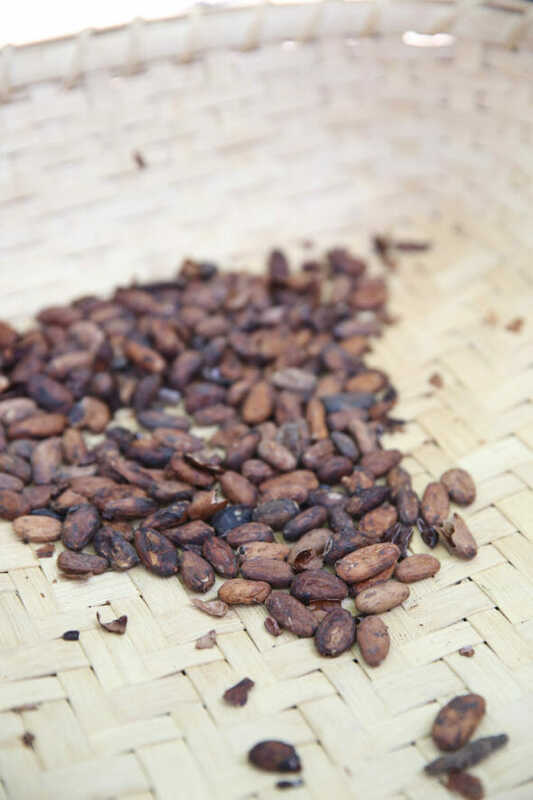 The beans are dried and tossed in baskets to get to the nibs, which are like little crunchy shells. These nibs are placed on a warm rock and then smashed with spices available during that time. Back in the 17th century sugar was expensive, so this chocolate is nice and dark, at 63% cacao. 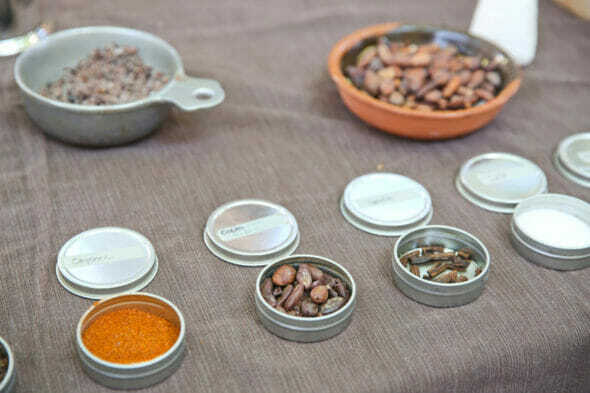 What really sets it apart for me is the the array of exotic spices used to flavor the chocolate like cinnamon, nutmeg, chili pepper, orange, anise and vanilla. The flavor is unusual and really delicious! Have you guys tried it? We loved learning about this time in history and the inspiration behind this brand of chocolate- the same kind that very possibly our founding fathers enjoyed. 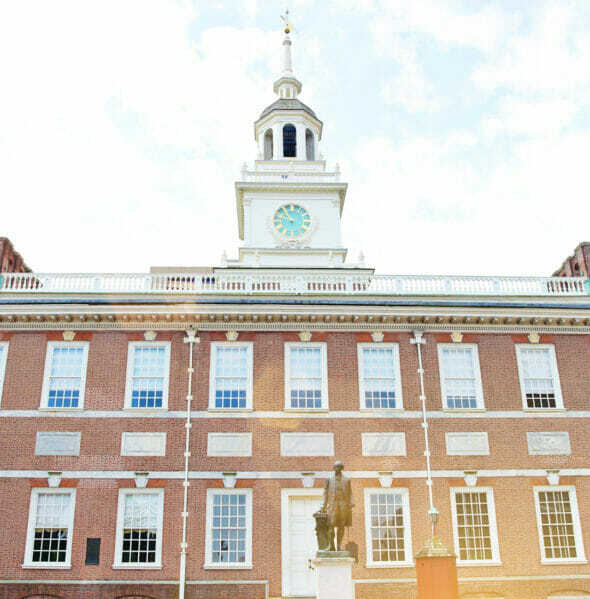 Speaking of Founding Fathers, one of my very favorite parts of Historic Philadelphia was walking in their footsteps. 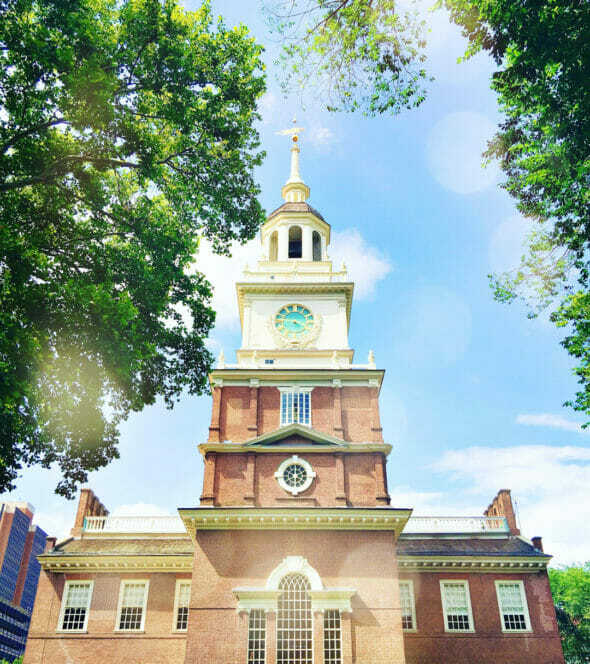 We got to go on a private, after-hours tour of Independence Hall, which is where the Deceleration of Independence and the Constitution were debated and signed. There was almost a reverence about this place, especially in the quiet of the evening without all of the crowds of people hustling and bustling. I also made sure to take pictures in all of the most important places. You know, like where Nicolas Cage stood in the movie National Treasure. We were even surprised by a live performance from Thomas Jefferson, Benjamin Franklin and John Adams. It was awesome to hear Jefferson recite parts of the Declaration of Independence. Another favorite stop on our tour was the Besty Ross Home. How adorable is this place?? The woman who represents Betsy is also amazing. Like, I want her to be my grandma. One thing I love about Philadelphia is that there is history around every corner. We also got to visit Christ Church. 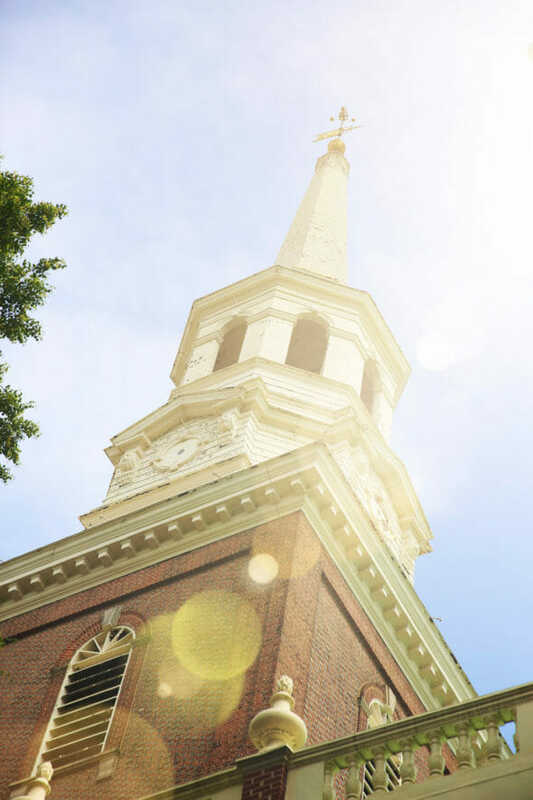 This beautiful building is where many of the Founding Fathers, and even congress, worshiped as a group. 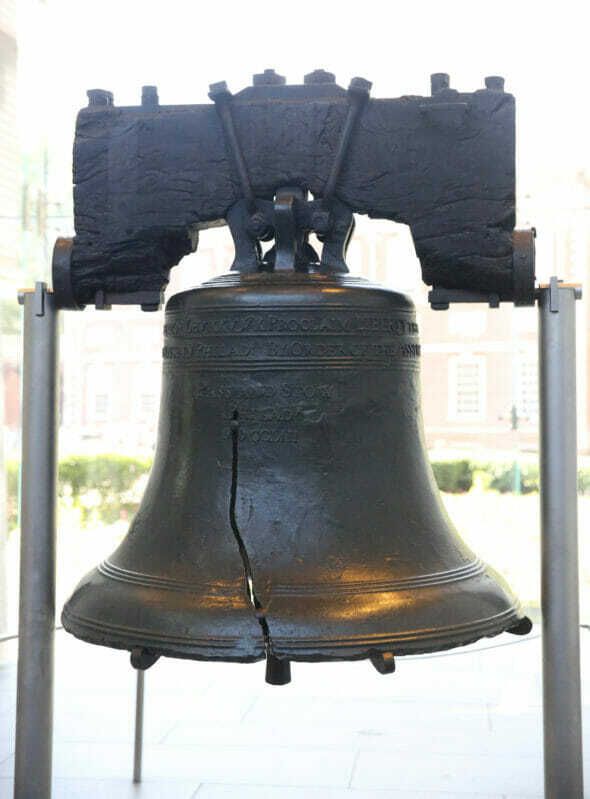 And of course you can’t go to Philly without seeing the Liberty Bell! With all of this walking, we worked up quite an appetite. 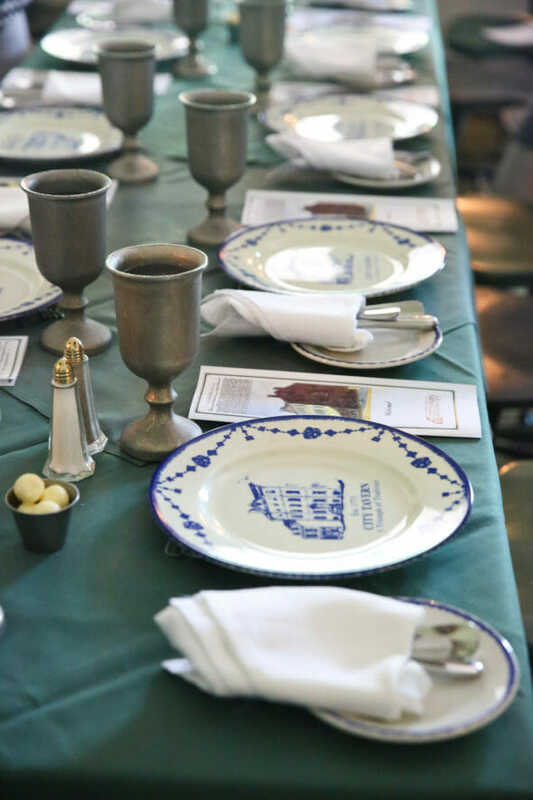 One of my favorite places to eat was the City Tavern, which is the restaurant of famed chef Walter Staib and first opened its doors in 1773! 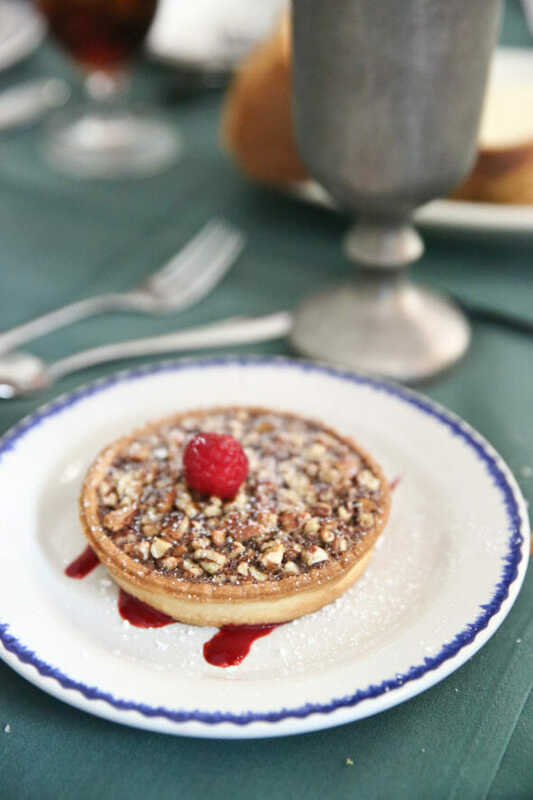 I ate what was literally the best chicken pot pie of my life, and topped it off with this Pecan tart made with American Heritage Chocolate. It was as divine as it looks. I’d really love to take my husband and kids back sometime to experience history like this. It brings it to life in such a unique way. If you have kids, they have a great program called “Once Upon a Nation” where there are story benches set up all around the city in historic places. They regularly have storytellers tell a true story about something that happened in that very spot. 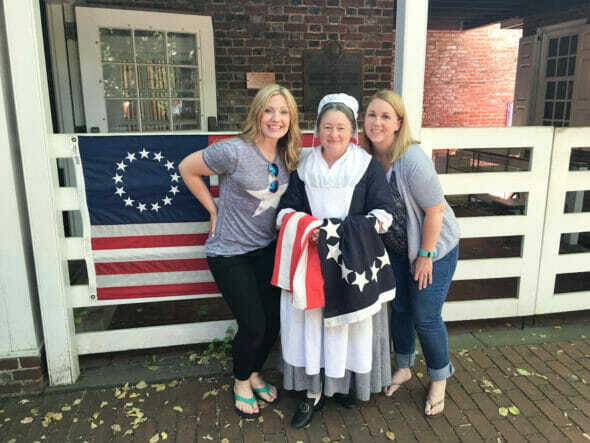 It was a fun way to learn more about the people who lived there and all of the interesting things that happened during the founding years or our nation. I left Historic Philadelphia with a greater appreciation of this beautiful country we live in and so grateful for our freedoms! We hope that wherever you may be, you’ll all feel that same way as we celebrate our wonderful Independence Day. Happy 4th to you all, and stay tuned for a recipe featuring this awesome chocolate and how you can score some for yourself! This looks like an amazing trip! I’d love to do it sometime. And your description about the chocolate makes me want to try it! I also love that you shared your experience right before the fourth of July. It was a helpful reminder of all that happened and all that was sacrificed to gain our independence. We went on a ghost tour (not that we really believe in ghosts but it was so fun and informative). 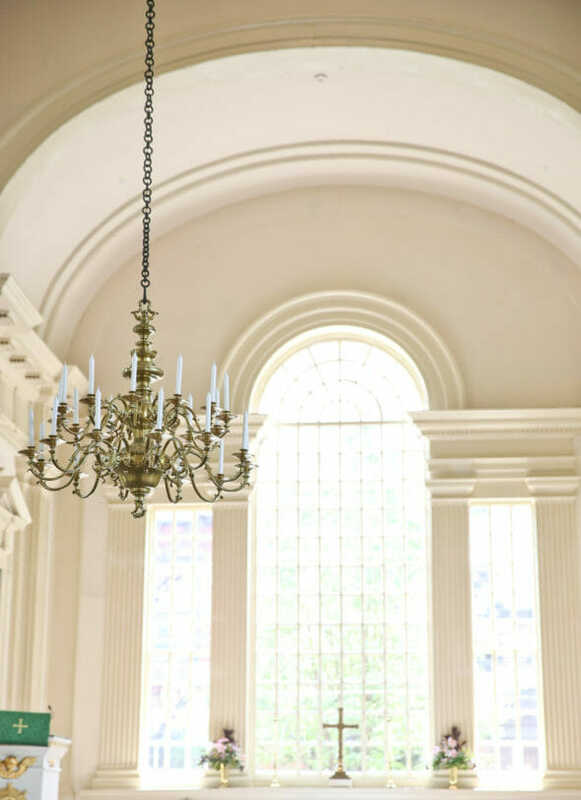 Did you hear any of the ghost stories about the City Tavern & the fire that occurred? That looks so fun! Thanks for sharing. We’d love to take our kids on a tour like that some time. 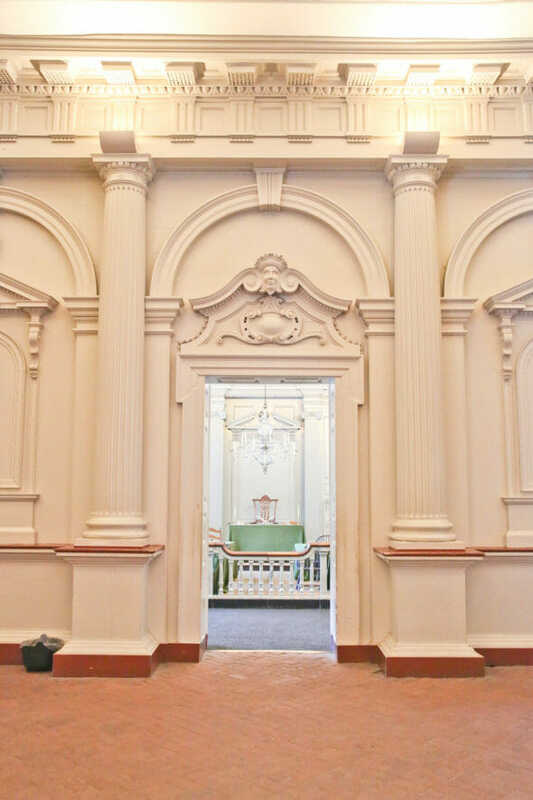 We’re going to Philly in August for the temple open house (it’s 4 hours away, but it’s the nearest one that’s likely to happen any time soon & I want my kids to be able to see all over inside one before it’s dedicated- I never did), and we’re going to check out some history while we’re there. 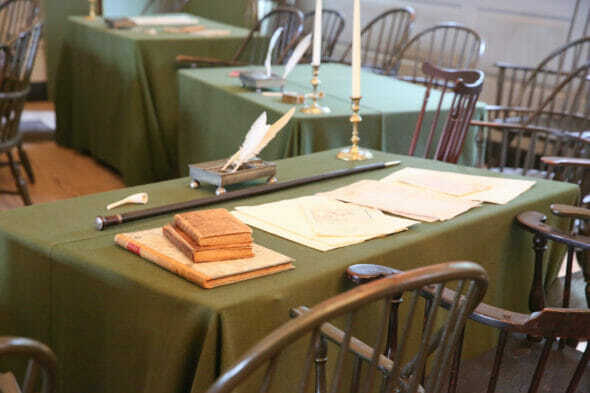 “where the Founding Fathers, and Congress worshiped as a group”…..there’s an idea…how I wish that were the case today. Sounds like an amazing trip! 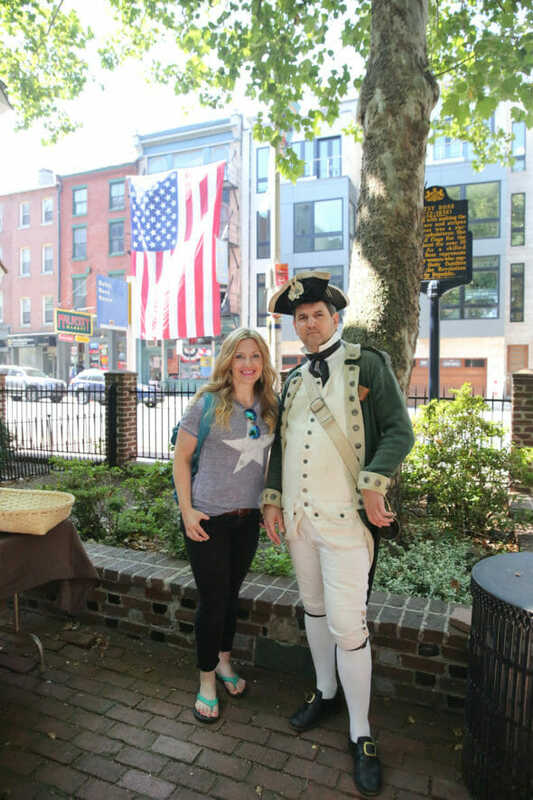 I love Philadelphia and American history and chocolate! Sara, can you share where you found your cute star t-shirt? You bet- it’s from Target, and I just bought it so you should be able to find it! It’s suuuuper soft and light! Did y’all go see the Philadelphia temple? Open House starts in about a month! It’s so funny to finally see OBB post about places near me for once! And I’m inspired to go play tourist where I live. Nope, we were so short on time and didn’t have any transportation–literally flew there one day and back the next!! I would have loved to have seen it! 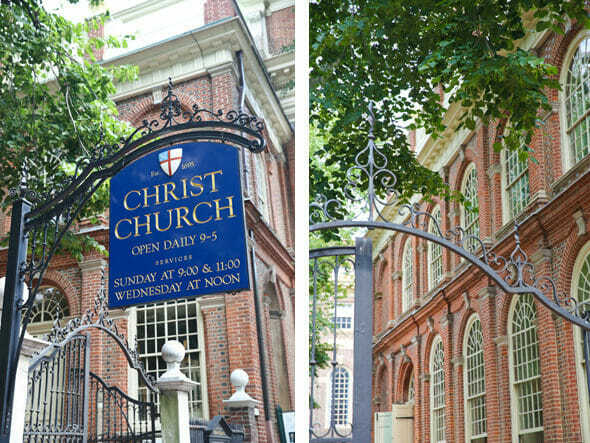 I ate at the City Tavern when I visited Philadelphia 6 years ago. Such a fun place and the food was great!